We have been super busy with so many things around here that I have neglected my Weekly Wrap Up posts. Lots of high school learning and life skills have filled our days which always makes the time fly by. I love watching my kids work together on Hearts and Trees kits, planning and then implementing all the really fun ideas. Mr. B has finished his first community college course and is going to continue with another class next semester. We took a family weekend trip to the mountains and enjoyed a snowy/rainy time and ate lots of yummy foods. Pre-Calculus: I am thankful for Teaching Textbooks every week! Mr. B is able to pull up any problems he needs to wrestle with on the CDs and watch the step by step instructions to get him over the hump. I value this math program and know that Mr. B will be prepared for any more math he may need in the future. Excellence in Literature from IEW: Just finishing Canterbury Tales and moving on to Great Expectations! These are both books he has read before but this time he can read with lots of background and context information from the guide. He followed up the Canterbury Tales with a writing piece that blew my socks off. I had to really dig to find anything to find fault with….his concluding sentence could have been better and so could his title. Now that was digging! Human Anatomy: He finished his unit on the cardiovascular system and now he is working on the gastro-intestinal system. I am finally satisfied that we have found a rhythm for this course…not too much busy work and a little lee-way for him to follow his interest once he gets started. I know that today his DVD course was pretty graphic…more than once I heard a the professor speaking about “projectile vomiting”. Mr. B didn’t seem to mind. 20th Century History: Tapestry of Grace history for the rhetoric stage in Year 4 is rather rich if you can afford all the books. We ended up purchasing the required core books and Mr. B is enjoying the selections. I do love when he comes to me and reads aloud a section and then proceeds to tell me where he hears bias. He is finding this a lot in his internet research of various topics surrounding things like the Vietnam War and the various presidents of the 50’s and 60’s. The very best part of this era in history is being able watch primary source videos on YouTube. John F. Kennedy’s speeches, the Civil Rights leaders and their own words, and videos of the space program at its beginnings. We also have been taking advantage of quite a few movies from Netflix which let the whole family be a part of the learning. Art and Music: I have been sharing quite a bit of our art here on the blog so you have seen his projects. We are finished with Miro and Calder and now are moving on to Escher and then finally Rizzi for the term. 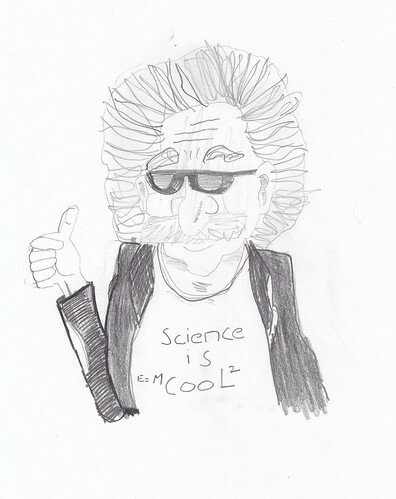 After that, I am trying to convince Mr. B that he needs to pick a Senior Project for his final fine arts credit. I have left the door wide open as far as topic and I am hoping we can come up with something that he will enjoy and will be his crowning glory as we finish off a long run of Harmony Fine Arts. Any suggestions are welcome….just leave me a comment or email me with any ideas you have for a long term Senior Project in Studio Art or Fine Arts. We have one more week of school for the term and the calendar year and then three weeks off. I am planning on recapping our term in one last Weekly Wrap Up post this month though so stay tuned for that one. Whiz Bang Zing….the years go by and now you are sitting with your last child in the homeschool classroom. Well, not really a classroom but you get the picture. It is just Mr. B and me on our own and for the very first time he is an “only” child and I am a homeschooling mom of one. It is strange and wonderful at the same time. 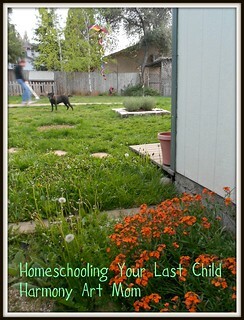 Homeschooling your youngest child’s senior year is just as hard as the first year of kindergarten. Our weekly meetings are always one on one. He really needs to be on his game since there are no big brothers sitting at the table to help him out if he needs it. I can clearly see how things are going with just one blonde head sitting in the chair across from me. We take more time for rabbit trails since there is only one rabbit to chase. I can indulge his interests more since I am not juggling so much. It is a crazy fun time. This is the week we realized we are on the downhill slide to the end of the school year. Splitting Mr. B’s senior year into two has given us lots of breathing room and it feels good to not be pressured to finish anything since we will just carry on in September when we come back to school. This plan has also allowed him time to fit in some more electives. At this time we are hammering out a rough plan for next year…..my only issue is that his 20th century study seems to be dragging. I am hoping to jazz it up a bit for next year somehow. Composer Study – Aaron Copland (free Harmony Fine Arts Grade 12 Music Appreciation plans) – Mr. B started a new composer this week. This is almost always the first thing Mr. B does on Monday morning. He checks his composer and artist assigned and then fires up his music. That makes my heart glad. Hitler’s Empire (Great Courses DVDs) – We finished this twelve lesson series…finally. Excellent supplement to Tapestry of Grace Year 4 for my son who enjoys the DVD lesson format. This course comes with a booklet that has follow up questions that we use for narration. He also keeps a notebook pages with notes for each lesson. 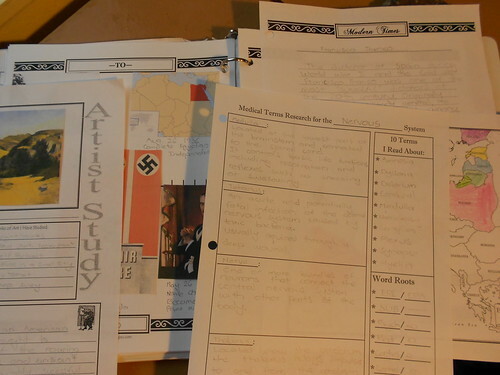 Notebooking Pages: Francisco Franco, Goebbels, Nervous System vocabulary/roots and terminology, History of Medicine additional research, Presidential Election (on-going primaries info), Hitler’s Empire, European Map – WW2, Updated 20th Century timeline, Grant Wood artist biography, Totalitarianism. Notebook pages from many subjects this week. Excellence in Literature – American Literature: Finish essay for Great Gatsby. 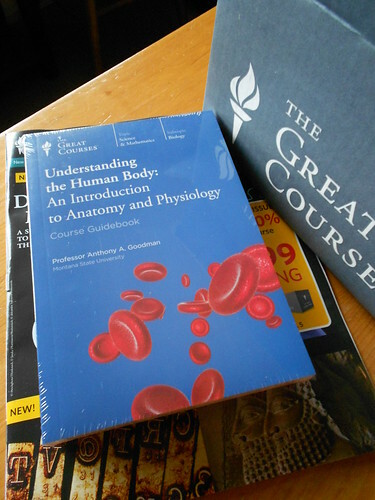 I love this course from IEW and I will be publishing a review for it on The Curriculum Choice in May. If you are at all interested in getting started with nature notebooking, now is a perfect time to purchase the nature study pages from NotebookingPages.com. They are offering 50% off their individual nature study sets from now until April 20, 2012.